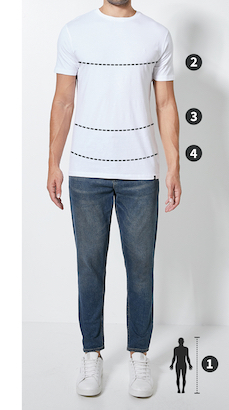 Please note that Superbalist men’s jackets are designed to fit the following measurements. Some brands may vary from these measurements but the table can still be used as a guide. When you’re shopping for jackets, the thing you need to look for most is whether it will stand the test of time. This is a prime contender, with its grunge-inspired styling. Features include quilted and padded details, a zip-up closure, multiple pockets and a burgundy inner lining. Style it with a pair of classic blue jeans with boots to complete the old-school look.